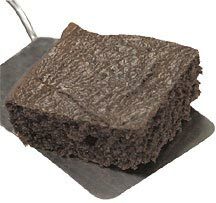 Dixie Diner Rich and Moist Low Carb Brownie Mix. 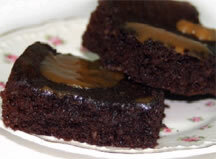 From Dixie:"Rich & moist, the only luscious, all-natural, easy-to-make brownies. So sumptuous, and only one carb! No sugar alcohols. No artificial sweeteners. No preservatives. Gluten free. All Natural"
All natural, no artificial ingredients, no preservatives, and gluten free." **ALL NATURAL-NO SUGAR ALCOHOLS OR POLYDEXTROSE EVER! Lifestyles: Gluten Free, Low/No Sugar Added, Low Carb, Low Sodium"